5 Words: Family, love, mystery, dark, survival. This was my first Nora Roberts, and I'm so glad I picked it up. I did find Come Sundown a bit hard going at first, but that was because of the style - it's not what I'd usually go for. But I so quickly fell in love with the characters that they redeemed it. When first meeting the character of Bodine I was a little slack jawed in awe at her, with her routines and how early she got up (how?) and despite not understanding her (how can anyone wake up so early?). The story itself spans a huge amount of time, set up across generations, but I never found myself confused when it changed character/time. 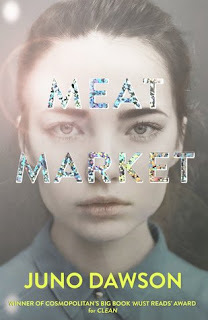 There are some parts of the story that are incredibly hard to read, and they were almost enough for me to put the book down, but I found myself wanting to go back to this part of the story to find out what happened next. 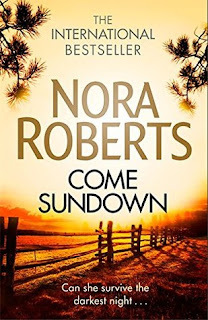 I don't know if this was the best Nora Roberts book to start out with, but I'll certainly give the author another go.